It is always my favourite holiday of the year. I find that in the mountains all I think about is how pretty the alps are, why did I follow my Dad down this terrifying bit of off-piste, when do we next eat cheese and how great it is to laugh so much with family and friends. It is a total switch off from reality. For anyone who has tried to organise a group holiday will know that it can be a little like herding cats when trying to pin down a date. For various reasons this season (new babies, avoiding school holidays, NHS rotas), we just couldn’t to do it with everyone. Cue spoilt brat-like sulk on my part. It was time for a reluctant rethink and the end of a 30-year-old tradition. 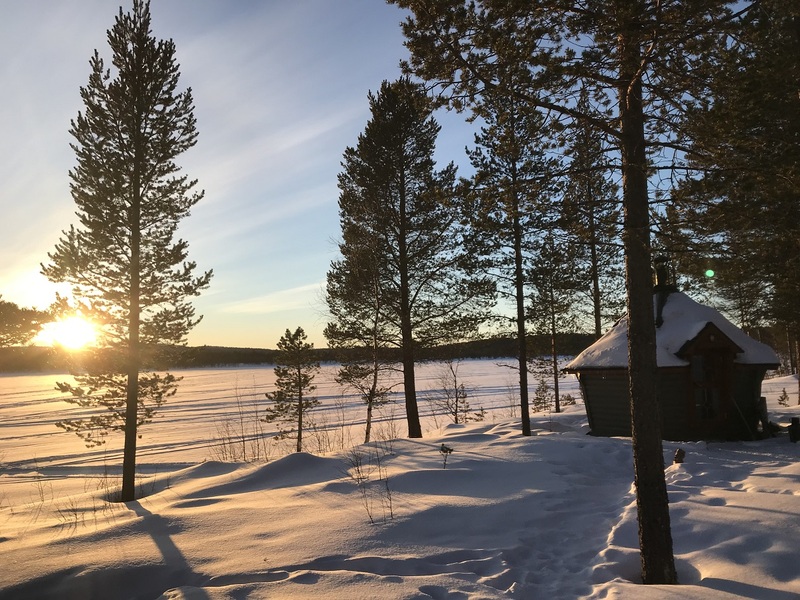 Whilst I sent my parents up to Finland some years ago for a retirement adventure, my husband had only been treated to a quick visit there in 2018, and my sister and brother-in-law had never been. These destinations and the wonderful local teams, who have been such a part of my world for the last 13 years, had not been shared with my family. I got planning, herded the family and got us booked. Cue end of sulk but plans to pack ski boots and do a day of downhill in Finland. 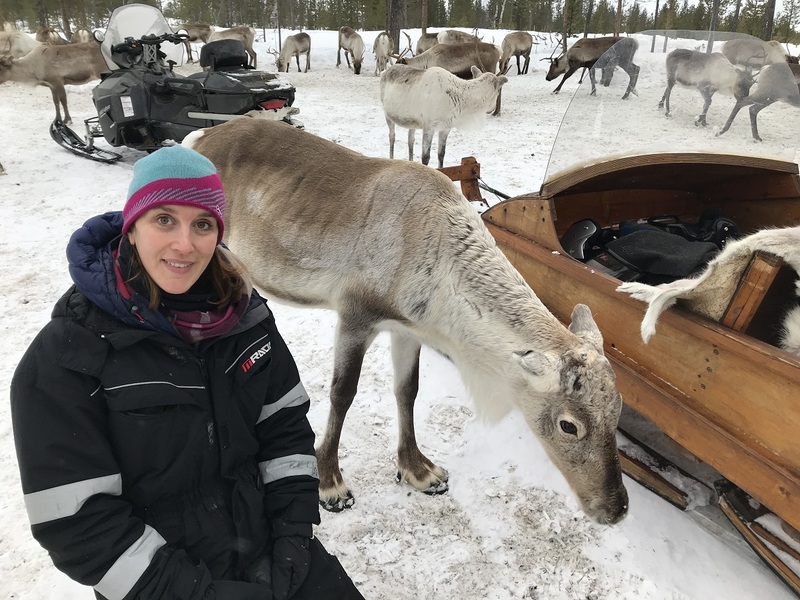 Fast forward to the end of our 6 nights in snowy Lapland, and we’re all sitting on the plane, grinning like Cheshire cats, looking back on the most incredible week of memories and shared family experiences. It genuinely felt like we had just stepped back through the wardrobe from Narnia, such was the feeling that you were stepping back from magical time – we’ve never had that from a skiing holiday before. Dog sledding as a family and playing with the puppies... Snowmobiling across the vast expanse of frozen Lake Inari at high speed, with my sister overcoming her fear and my husband getting overconfident and ending up stuck in deep snow.. Sleeping in a stunning log cabin making us feel like millionaires...Eating lunch around an open fire in the wilderness, listening to nothing but wild bird calls..The morning we spent with a reindeer herder helping to locate and feed their animals – not a tourist in sight! 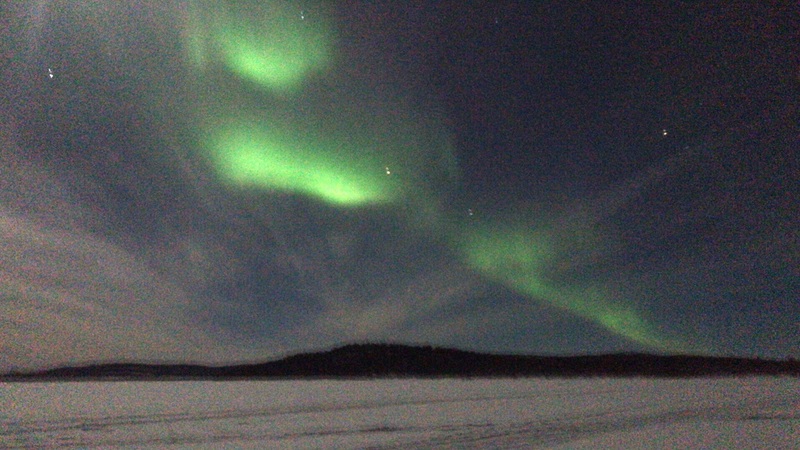 Now, Nellim was the first place I ever went in Finland and the first place I saw the Northern Lights, and so I chose it as our first destination as it holds a special place in my heart. 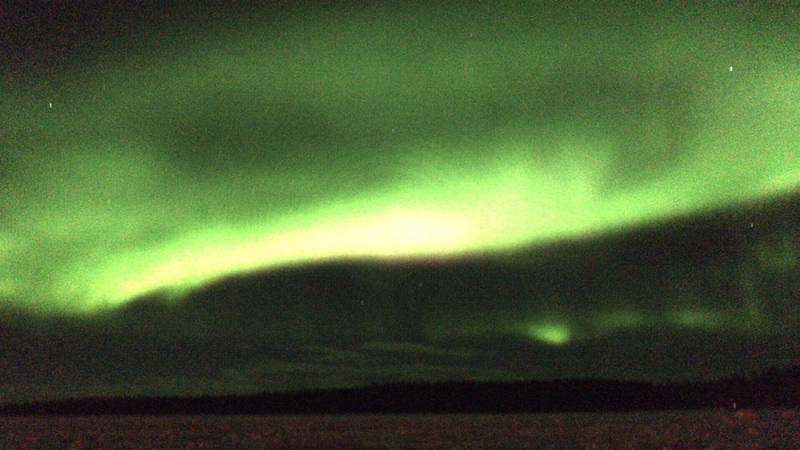 Less than an hour after we arrived, we were sitting on the same lake I was on back in 2007, staring at the Aurora Borealis dance across the sky. We were treated to the same the next two nights. It was just incredible, and by the time we left Nellim to head to Menesjarvi (my favourite location simply for how incredibly wild it is), a couple of nights of cloud cover was a welcome opportunity to catch up on sleep (you simply cannot turn away from the Aurora and go to bed!). We had no expectations of further displays as we’d lucked out already, but on the last night, we were sitting around a fire (all the guys in the family had become obsessed with lighting fires by this point) cabin near the lake at Menesjarvi where my other half and I had seen the lights the previous year. As 10.30 pm approached and the realisation of a 6 am start the next day hit home we were about to head to bed when we just went down for one last look. The sky exploded into a panoramic display that lasted until we dragged ourselves away at around midnight. It was one of those times where the whole hotel gathered and people from all over the world stood in awe with involuntary whoops and cheers ringing out as suddenly another section of the sky danced in full colour. To share such memories with your family and a bunch of strangers, united in their adoration of what they were seeing, was just wonderful. No matter how good a skiing trip we’ve had in the past, there’s no way I could have written a blog banging on about memories to last a lifetime following one of them. You simply cannot quantify how much of an experience our Aurora destinations provide. You cannot explain the size of the wilderness. You cannot tell anyone why the smell of wood smoke is something you crave when you come back as it brings so many memories with it. You cannot explain that we had the chance to go downhill skiing during the trip and turned it down in favour of a cross country trip. 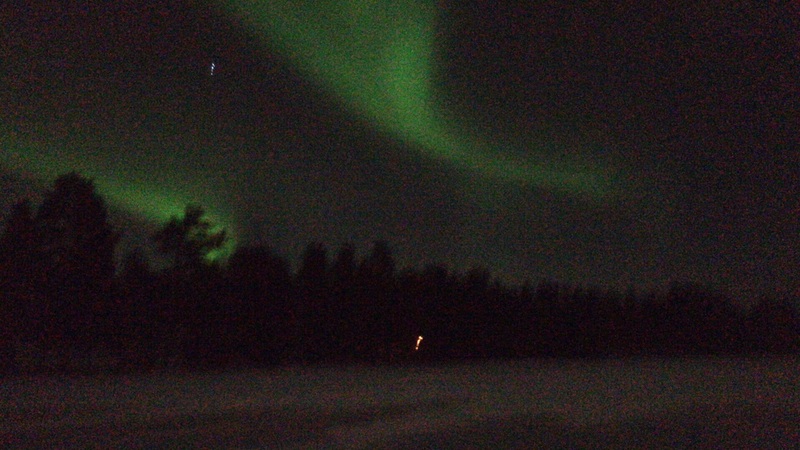 You cannot do the Northern Lights justice in any way and lastly, you cannot put a price on such shared family time. If this still hasn’t convinced you that it’s worth a change to the ski trip then I am pleased to add that all of these experiences can be combined with skiing in some of our destinations, so you can have your cake and eat it. However, you might just find that despite taking your kit all that way (as I did), that you have much better things to be doing with your time. Click here to plan your Northern Lights adventure.